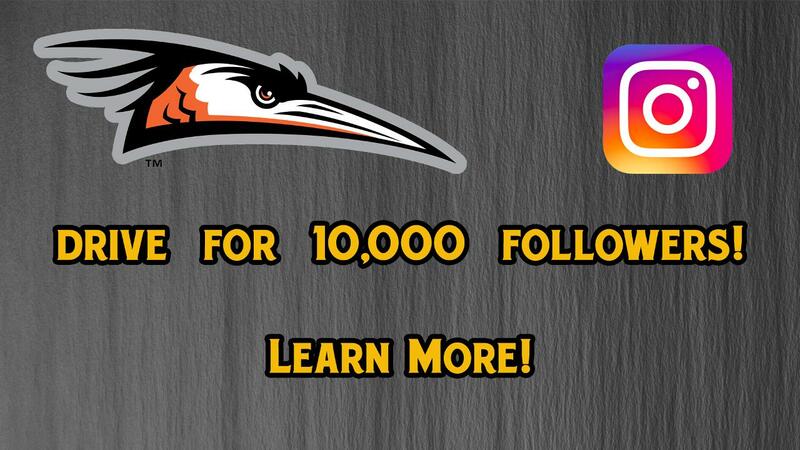 In an effort to stir up excitement for the upcoming 2019 Season, the Delmarva Shorebirds are announcing the "Drive for 10K" on their official Instagram account, @shorebirds. As of February 1st, the Shorebirds are at just over 6,440 followers on Instagram. A target of 10,000 followers by Opening Day on April 11th is the goal set by the Shorebirds front office. "The Shorebirds Front Office staff is extremely excited for the 2019 season and we continue to work hard to ensure you, the fans, are always treated to a great time when attending a game", said Delmarva Shorebirds Assistant General Manager of Marketing, Eric Sichau. "We want to continue to grow our Instagram engagement as the year progresses, and reward fans for their continued support. Let the Drive for 10K begin and let's exceed it Delmarva!" Remember, the Delmarva Shorebirds official Instagram handle is @shorebirds. Follow HERE.